Now through midnight, Jan. 8, 2018, local and national news outlets and freelance reporters may enter the Fair Media Council’s newly-expanded Folio Awards program, recognizing quality news as chosen by the ultimate critic: the public. Social media categories specifically for news outlets have been introduced, while businesses and nonprofits may enter in a separate social media category. 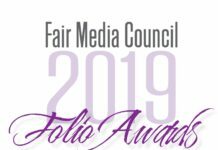 “All told, the awards have been dramatically expanded to accommodate the changing media landscape and to provide the public a strong voice to give feedback directly to news outlets,” said Jaci Clement, Fair Media Council CEO and Executive Director. The introduction of national news categories is entirely new to the Folio Awards, while local and social media entry criteria have changed and expanded. The entry process is entirely online, and the process has been streamlined to enable payment after all entries have been submitted. Entry fees apply for all entries, and credit cards are accepted online as well as over-the-phone. Hard-copy checks may be mailed to the Fair Media Council, 1055 Stewart Ave., Bethpage, N.Y. 11714, and must be received by the due date of Jan. 8 to ensure eligibility requirements. 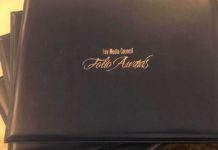 The Folio Awards recognize well-crafted works of journalism that tap the pulse of the public. Judges for the awards vary from year to year, but a combination of community leaders, retired journalists and college professors ensure the awards meet the highest quality standards. All local news categories and social media for news outlets may be seen by clicking this link. Entry rules and guidelines are included in this link. Additionally, the page may be printed and referred to during the online entry process: Simply click the printer icon at the bottom of the page. Some of the new categories for this year include #summerofhell news, suburban trends, addiction coverage and lifetime achievement award nominations. All national news categories may be seen by clicking this link. Entry rules and guidelines are included in this link. Additionally, the page may be printed and referred to during the online entry process: Simply click the printer icon at the bottom of the page. 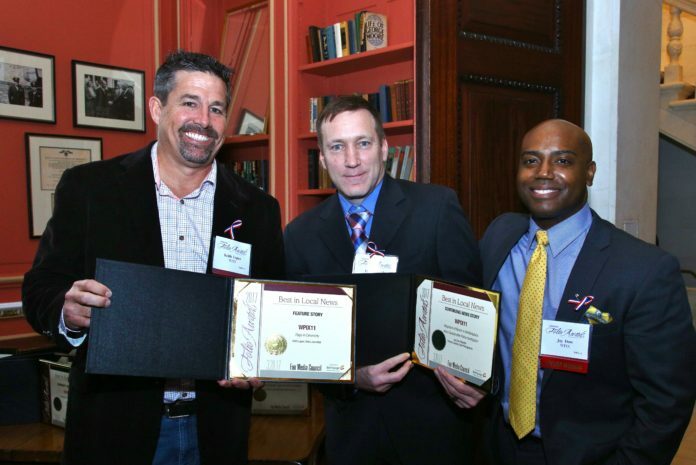 Emphasis is placed stories with impact in the national news awards categories, such as the Freedom Award, which improved accountability in the criminal justice system and the Light in the Darkness Award, recognizing underreported but important subject matters. Businesses and nonprofits may see their social media categories by clicking this link. Entry rules and guidelines are included in this link. Additionally, the page may be printed and referred to during the online entry process: Simply click the printer icon at the bottom of the page. Use this link to go to the award entry page, which adjusts according to your needs. There is only one entry page. The Fair Media Council advocates for quality news and works to create a media savvy society. Next articleIs It Time To Let Journalists Simply Be?